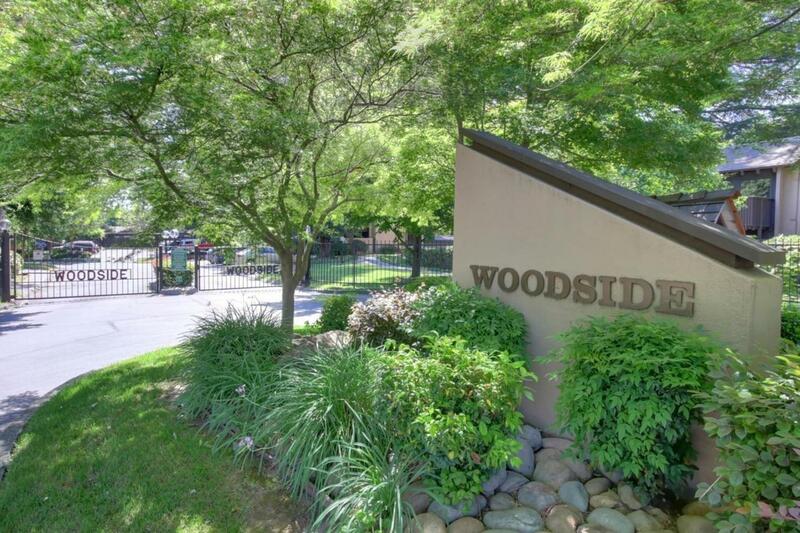 Welcome to Woodside, a well established gated community with amenities galore! You'll love living in a beautiful park-like setting with mature trees & beautiful landscaping on 53 acres with 24/7 security patrol! Enjoy an active lifestyle with tennis, swimming, hot tubs, saunas, fitness room, & free bicycle checkouts- all at your fingertips! (You can also enjoy yoga class every Saturday in the clubhouse!) 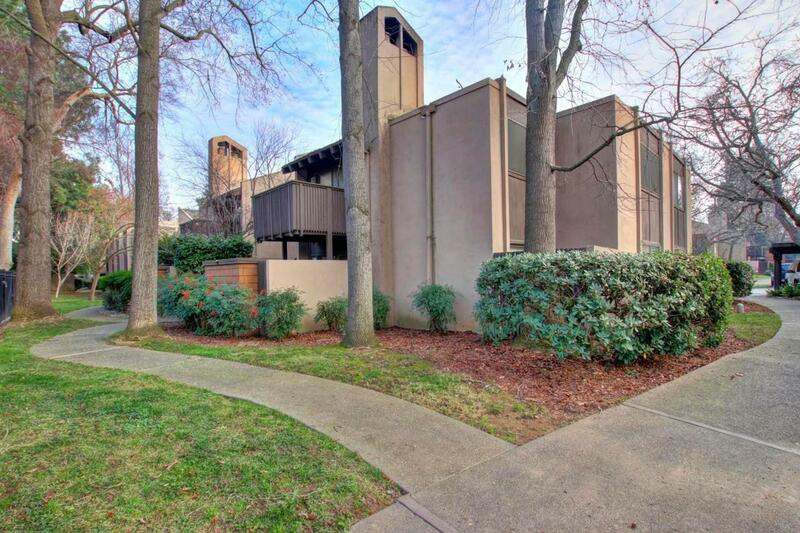 Or hang out with friends in the clubhouse, billiard room, or card room. There's even a dog park for your furry family member. 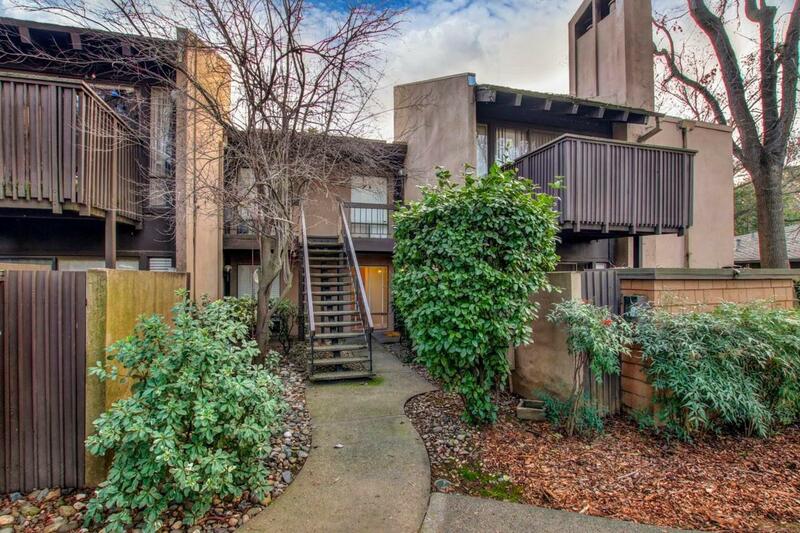 This 2 bedroom/1 bathroom condo is a ground level unit, which is hard to come by. The kitchen is nicely updated with maple cabinets. Appliances include refrigerator, dishwasher, and built-in microwave. The bathroom is nicely updated too. Newer ceiling fans in living room & master bedroom. Smart thermostat (Ecobee.) 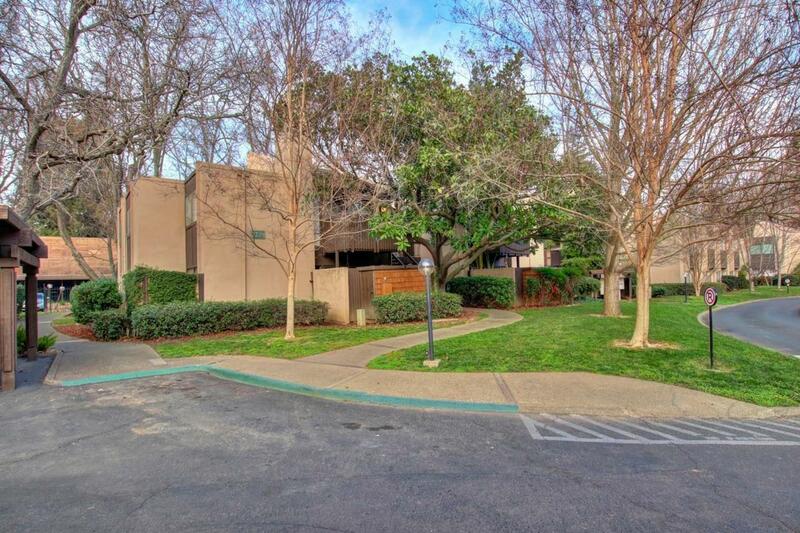 Great location; close to Sacramento State University, Arden Fair, Pavillions Shopping Center, Loehmann's Plaza, & the beautiful American River Trail!